Our appointment book is computerized which allows us to efficiently make appointments for you and your pet. We will do our best to accommodate your busy schedule. Request an appointment online at oceananimalvet.com or by phone at (831) 429-5100. We look forward to seeing you! We have a veterinarian and staff members on duty 6 days a week who are trained and equipped to handle urgent care of your pet. Emergencies can be things such as snail bait poisoning, hit by car and chocolate ingestion. If you feel your pet needs emergency treatment it is best if call before you come in so that a team member can advise you on your particular emergency. 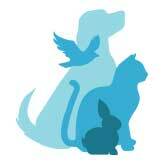 Ocean Animal Clinic and The Cat Clinic of Santa Cruz offers discounted services to senior citizens.